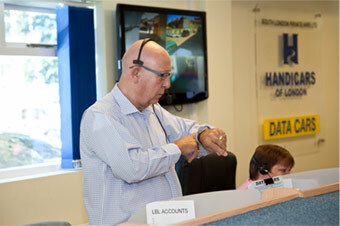 The management and staff at Data Cars are proud of the Call Centre that they operate. With over 30 staff now employed in the Call Centre, it’s one of the areas largest employers. Data Cars are located in Lewisham SE13, where we have invested in new technology to provide customers and drivers with the best service and safety available. Our HQ houses a state of the art admin and call centre running fully computerised accounts and dispatch systems. Our systems include GPS tracking on all our vehicles, allowing us to locate the nearest car for the customer and minimising any waiting time. Being the largest private hire company in South East London, customers should never have to wait long.